Congratulations to the over 250 exceptional young musicians from all corners of the country, who competed in Midwest Young Artists Conservatory’s 22nd Annual Walgreens National Concerto Competition from December 27 to 29 at Ravinia’s Bennett Gordon Hall and the MYAC Center in Highwood, IL. A panel of distinguished judges selected the winners and delivered individual comments on each performance. 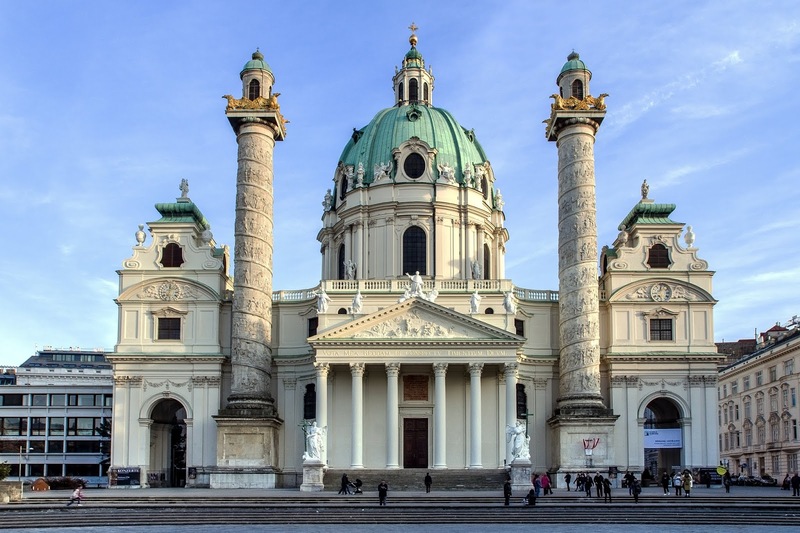 Most exciting of all, the prize for these young musicians is the chance to perform their winning pieces with MYAC’s full orchestras, and on the prestigious “From the Top” radio program. Walgreens Corporation’s annual sponsorship enables MYAC to provide students with preeminent artist-educator judges, a video recording of their performance, written performance evaluations, and an inviting and nurturing environment in which to participate. We're pretty proud of our brand new website at MYA.org, which just launched this week. 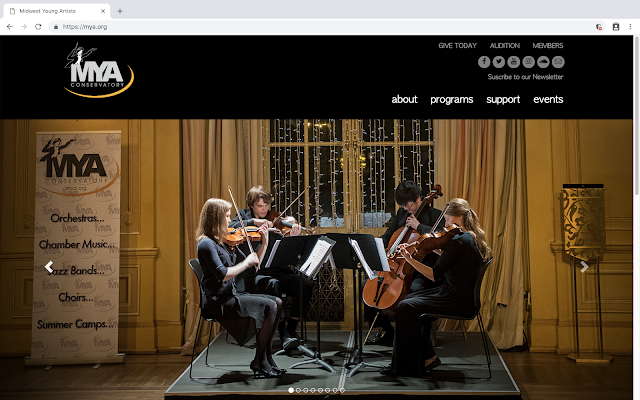 The new MYA.org was designed by MYAC's very own Beth Duvall, and developed by two MYAC alumni: Ivan Franco (violin, 2018) and Finley Lau (percussion, 2016). With close guidance by our administrative, communications, and marketing staff, Ivan and Finley custom built the new MYA.org to feature both an updated look and feel and a simpler, more user-friendly interactive experience. We hope you'll visit today and let us know what you think! MYAC to be featured Saturday on WFMT's Introductions "From the Midwest to Vienna: A Holiday Celebration"
Tune your radio to 98.7 FM this Saturday for "Introductions", hosted by Michael San Gabino. Saturday's 11 a.m. broadcast will feature MYAC's 2017-2018 I'Solisti Ensemble recorded live at Ravinia's Bennett Gordon Hall on March 18 performing Bach's Brandenburg Concerto No. 2 in F major. This program will be also available to stream online here after the broadcast. Sunday December 9 at 2 p.m. at DePaul University's newly unveiled elegant and acoustically optimal Holtschneider Performance Center 2330 N. Halsted St in Chicago, MYAC Maestros and Voices Rising choral singers perform with MYAC Concert Orchestra and Jazz Workshop students in “What The World Needs Now Is Love”: a FREE program of inspirational songs promoting peace. 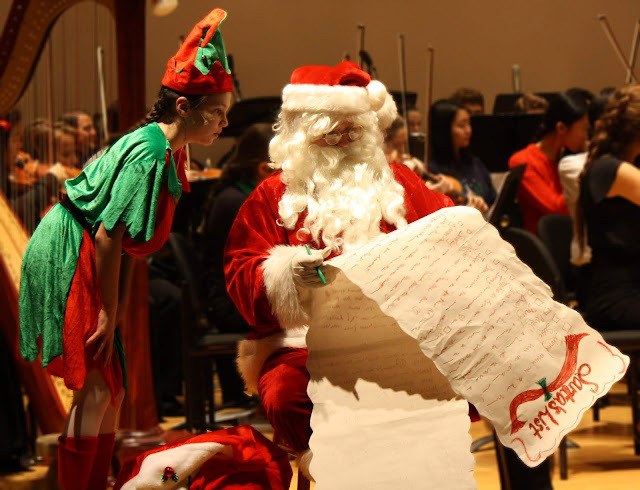 Sunday December 16 at 2 p.m. and again at 4 p.m. at Bennett Gordon Hall at 201 St. Johns Ave. in Highland Park, IL, the “Magical Musical Holiday Show” will feature MYAC’s Symphony Orchestra, MYAC choral ensemble members, an original dramatic performance, holiday caroling, and a special visit from Santa himself! The Magical Musical Holiday show is FREE. Parking is free. Voices Rising and VocalPoint Director Stevi Marks says she believes music education fosters connections, builds bridges, and unites people. “Our students come together from different backgrounds and experiences and their joy for making music is palpable. Music is our platform for teaching tolerance, equality, unity, and life lessons that go beyond the score. What better respite than music to take us beyond the difficulties of our daily world?"